If you need a lighter-weight, everyday Engineer Boot, the Carolina 11" Engineer boot answers the need. 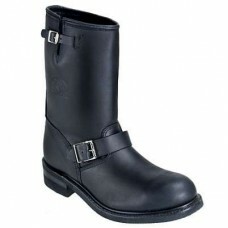 Note: For you guys with larger feet, we carry these boots up to size 15! -- Also the ladies can fit into smaller sizes. Size 5 up! 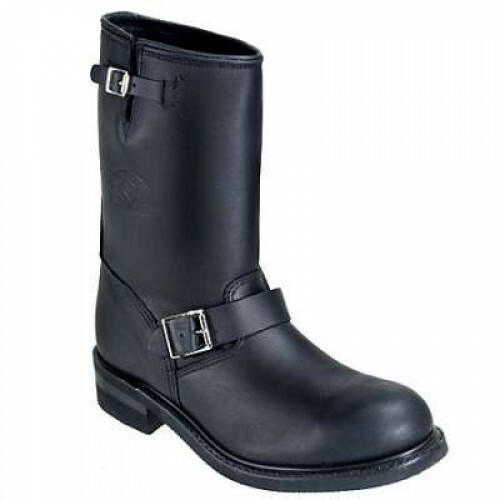 This 11" black leather engineer boot comes in oil-tanned leather and has a Cardinal non-slip outsole, Poron® Permafresh cushion insole. This boots has non-steel toes. (If you prefer a steel safety toe, our Chippewa brand Engineer Boots has them.) -- USA made. Oil Tanned Black Leather Engineer Boot is "Made in the USA"